Previously, I discussed two yarn related podcasts that I enjoyed listening too while commuting and jogging. This week I am sharing two more podcasts, but these two are more general craft related shows. Again, these shows may appeal more to other creative business owners, but everyone can enjoy the behind the scenes look at designers they love – and discover new designers! You can listen to both podcasts on either iTunes (for iphones) or Stitcher (for Android phones). I don’t currently run an Etsy shop, and don’t know if I ever will, but I still enjoy this podcast. Each episode, the host, Ijeoma Eleazu, interviews a different Etsy shop owner to learn more about his/her store and business. 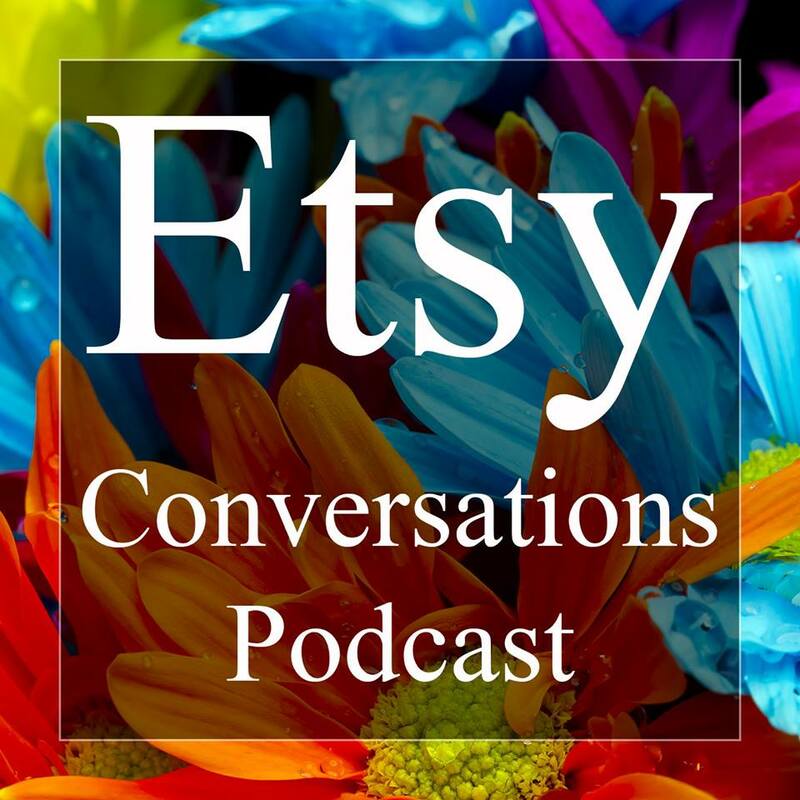 Ijemoa hopes that her podcast will help new and not-so-new Etsy store owners increase traffic to their Etsy store and make more sales by learning from fellow Etsy shop owners. Each interview is structured much the same way with the same questions, but sometimes Ijeoma will follow up on an answer and ask different questions more relevant to the artist she is conversing with. While it is a bit predictable how each episode will play out because of the repetitive questions, it is neat to compare the different answers by different artists to the same question. This show is very inspirational. You get to connect and learn about other normal crafty artists just like you that are trying to build and grow their business. You get to learn what worked for them and what didn’t, what inspires them and why they keep going despite the difficulties. You also get to discover some great Etsy shops that you otherwise would not have found on your own. Give it a listen! There are so many past episodes already released, you won’t be running out of episodes to listen to anytime soon. I love this podcast. Abby Glassenberg is a stuffed animal designer like myself, but instead of crocheting hers with yarn, she uses a sewing machine and fabric. Her podcast is not all about sewing, however; it is about the creative and craft industry in general. She usually interviews one (or more) creative business owner(s) per episode and asks fantastic questions to get at the heart of their business. I really like Abby’s interview style, which is both professional and conversational. She asks excellent questions and obviously does a lot of research into her guests before each interview. I learn so much from her shows, even if she is interviewing someone who isn’t in the yarn industry. I often find myself pausing the show to make a note somewhere to look something up later when I get the chance. Abby also brings something new to the interview – at the end of most episodes both she and those she is interviewing share something they recommend. Their recommendation could be a book, an app, a recipe, a website, a product – anything really! It is something that is not necessarily related to running their business, just something they are loving at the moment. I really enjoy this part of the interview. I think it adds something fresh and you can discover some pretty neat things! 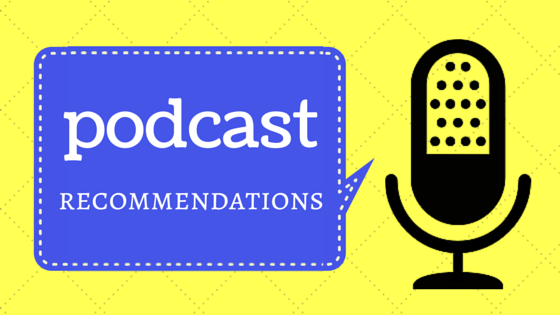 In some episodes she brings back past guests and the entire show is filled completely with recommendations – love it! 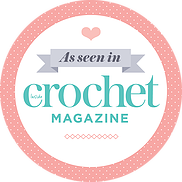 If you are thinking of starting up a craft business or already have one, don’t miss out on these podcasts! Now I am on the hunt for more great shows to listen to while on the move. Any suggestions?